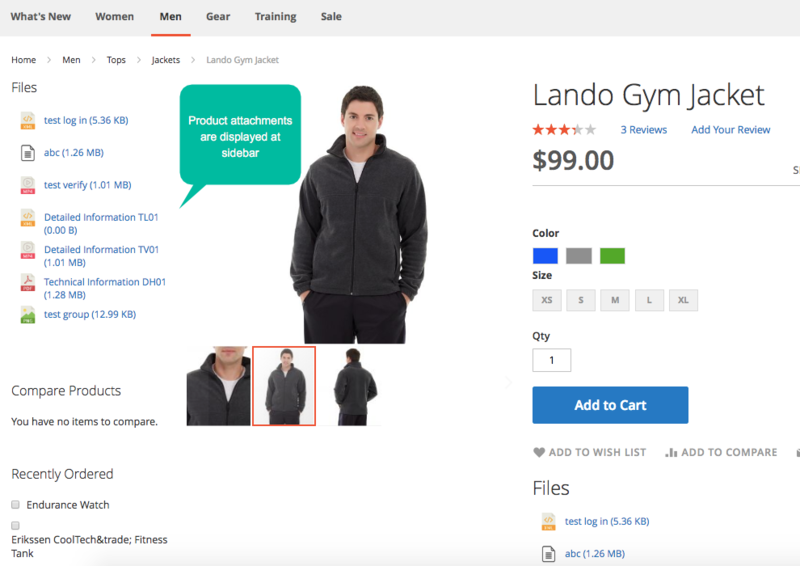 Magento 2 Product Attachments extension enriches your product page by allowing admins to attach single or multiple informative files to every product in any formats. Admin can drag and drop to quickly upload attachments as well as restrict the file viewability and downloadability. 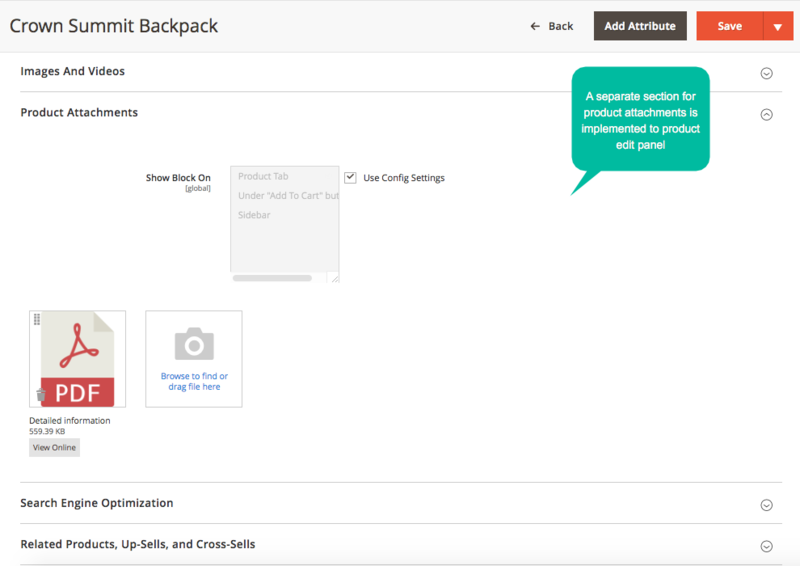 Attract your customers by eye-catching file icons and well-documented attachments. 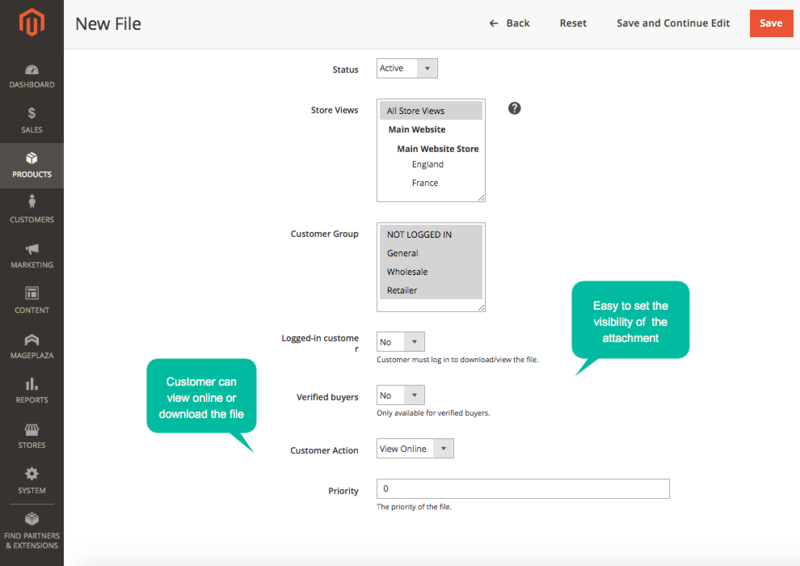 Magento 2 Product attachments allows you to attach one single file or multiple files to the product. 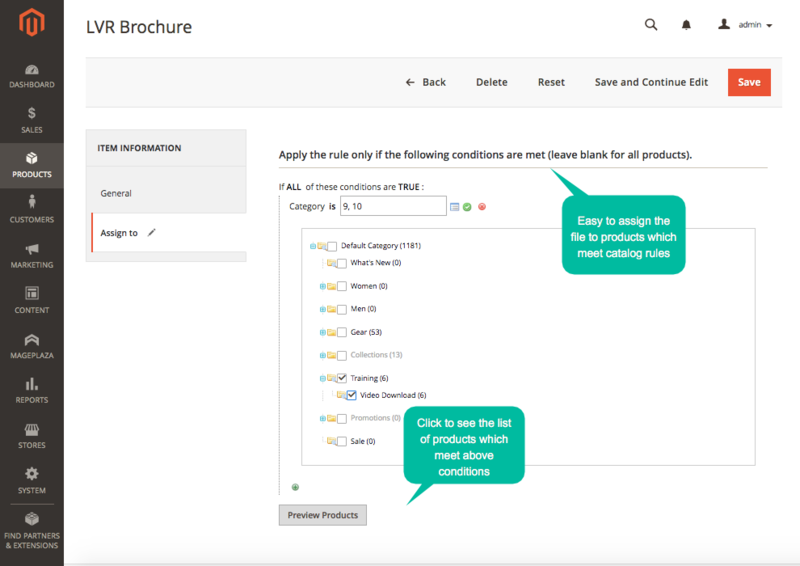 These files provide extra information for your customers which can be anything from a user guide, videos, audio or even a zip file. 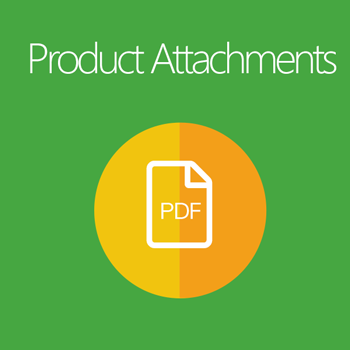 Hence, there is no restriction on the number of attachments which are allowed to appear on a product page. 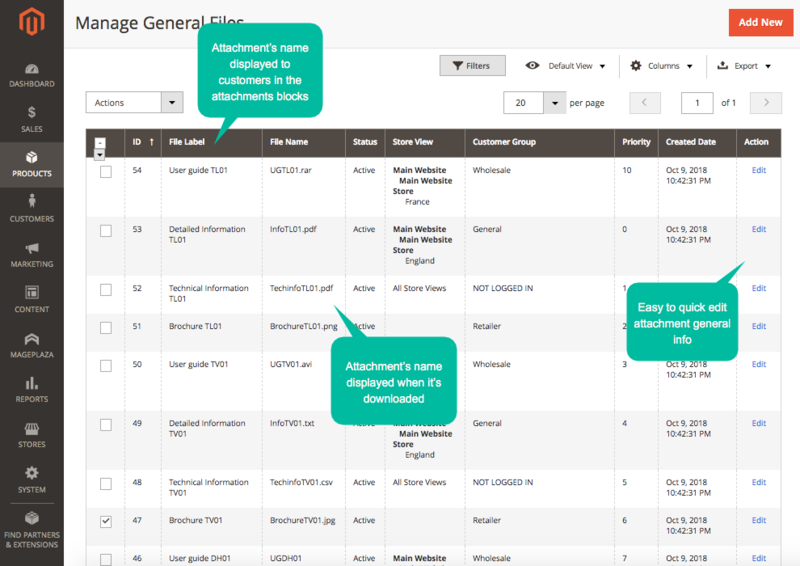 The downloadability and viewability of product attachments can be configured by admins. For customers’ convenience, you may want to let them view the attachments online if possible or let them save in their devices for future reference. Not every attachment is supposed to be accessible to every customer group. 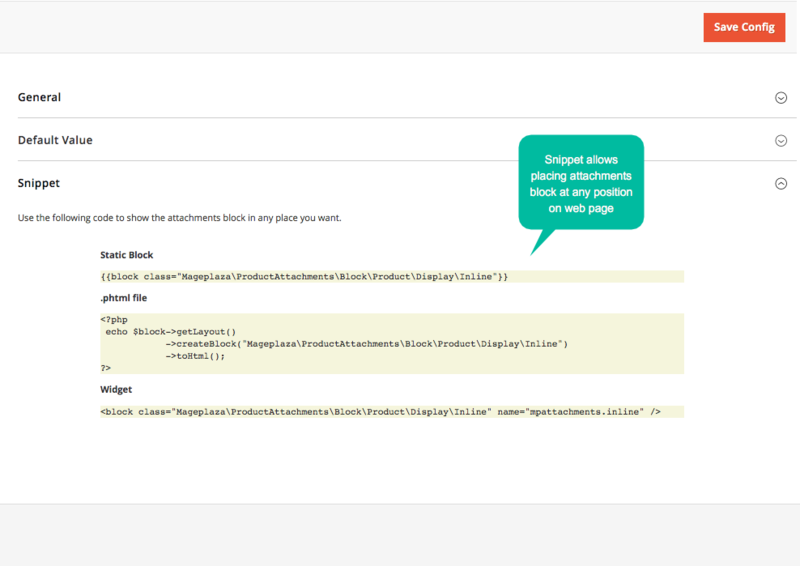 Thus, Mageplaza Product Attachments extension allows you to set the restriction on the file visibility. This helps you hide important/sensitive information from non-verified viewers as well as make your attachments additional valuable assets. Save a lot of time for admins to upload attachments. You can just drag and drop the selected attachment. 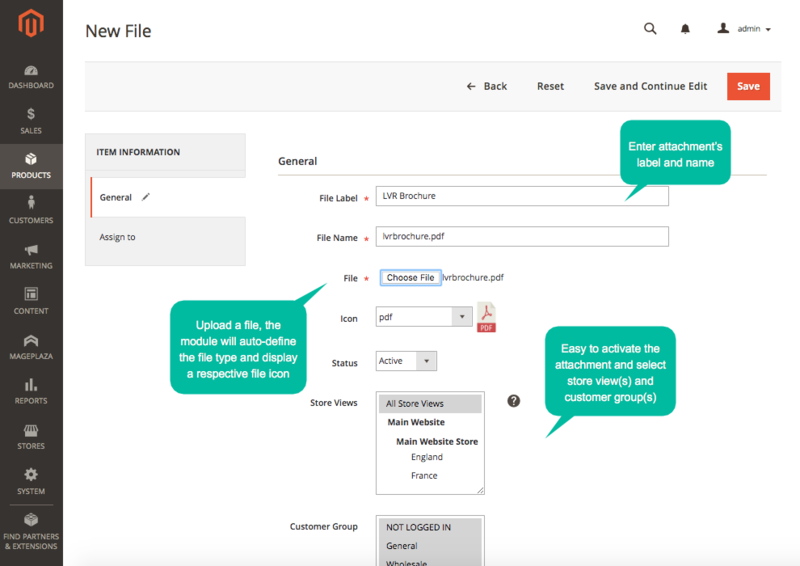 With a user-friendly module configuration panel, attaching files becomes much easier. 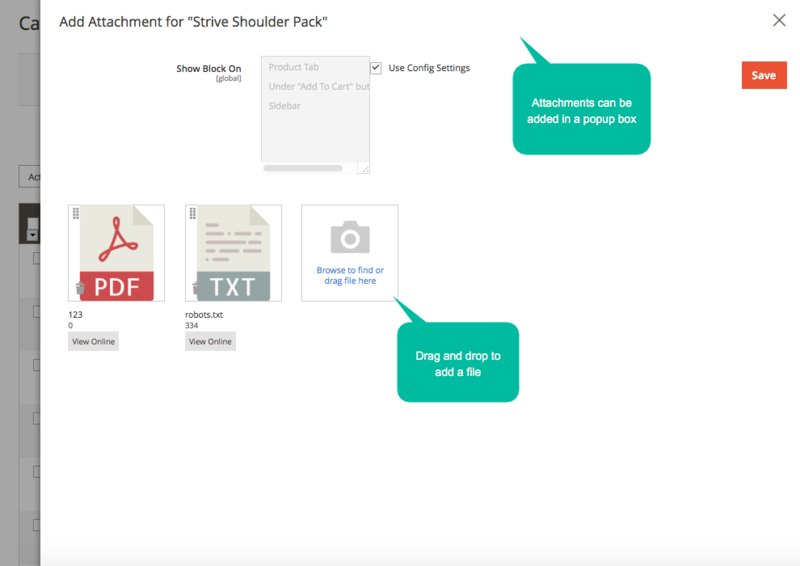 Attachments can be uploaded in any file types to help you share information in any forms. 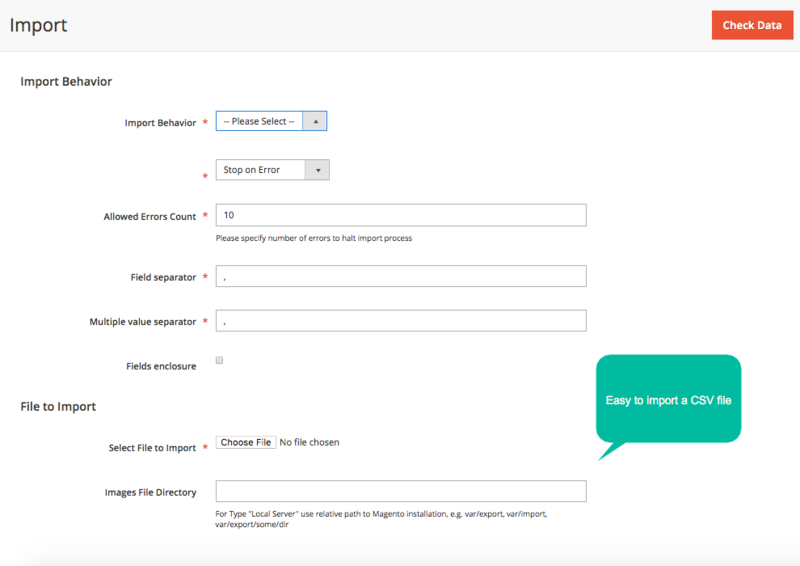 Mageplaza Product Attachments for Magento 2 already includes pre-made icon packages for the most popular file types which are most likely used. These icons are indicators for customers to know which kind of attachments they are about to view or download. This helps them select appropriate software to open these files. 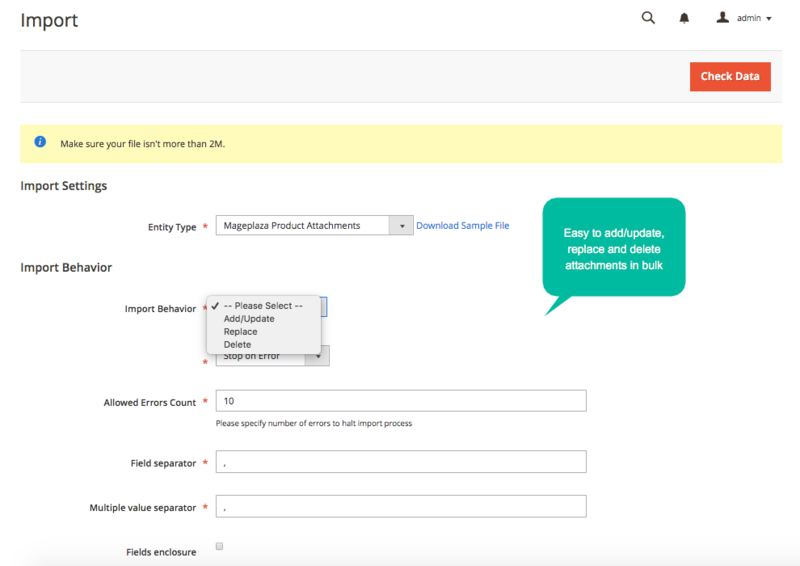 Product attachments extension for Magneto 2 works perfectly with Mageplaza Reports extension to provide you an advanced report on attachment downloads. 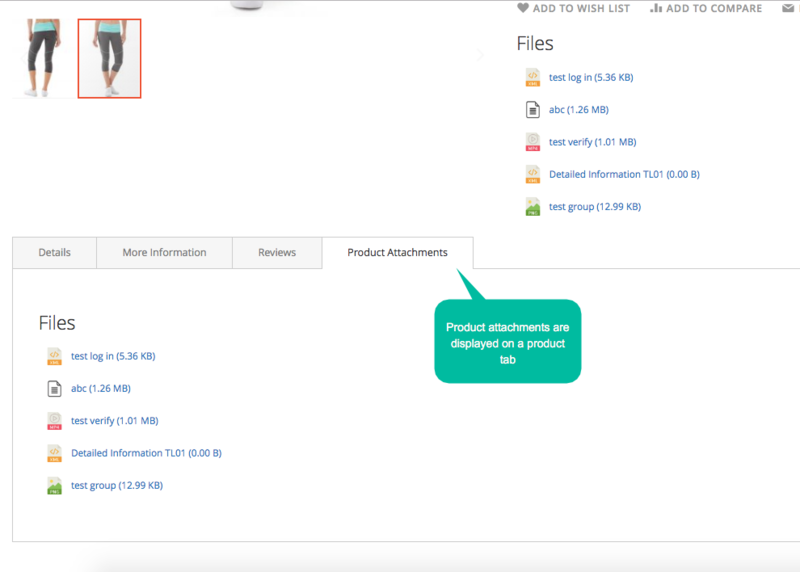 This report features all important information to help you analyze and manage downloaded files such as product ID, file names, file types, the number of downloads and created dates. 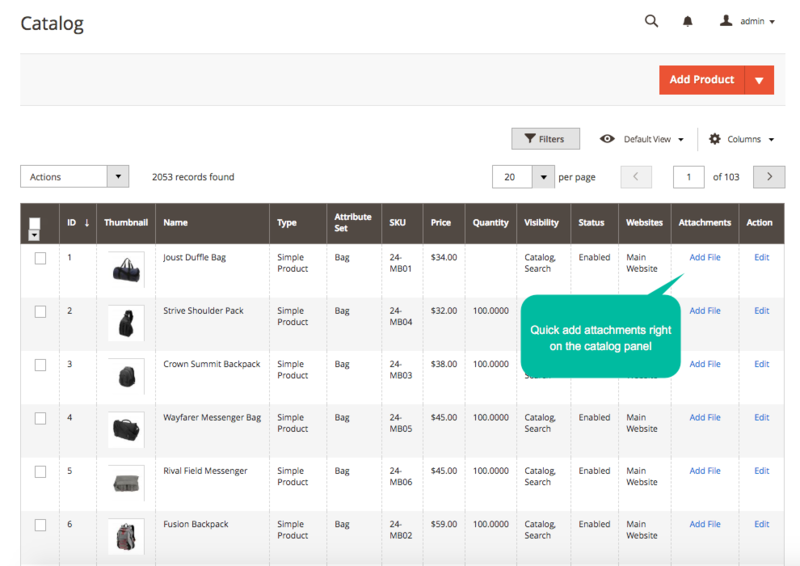 Product attachments Magento 2 allows you to add multiple files in CSV, which is really time-saving for store admins. 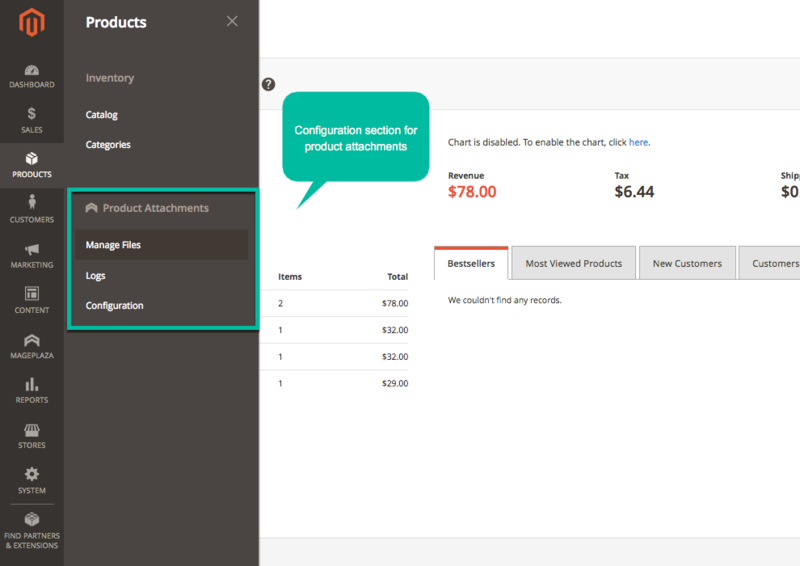 Products which attachments are assigned to are instantly displayed after admin filters them by catalog rules. Quickly upload attachments in a popup window when admin accesses the product attachments grid. 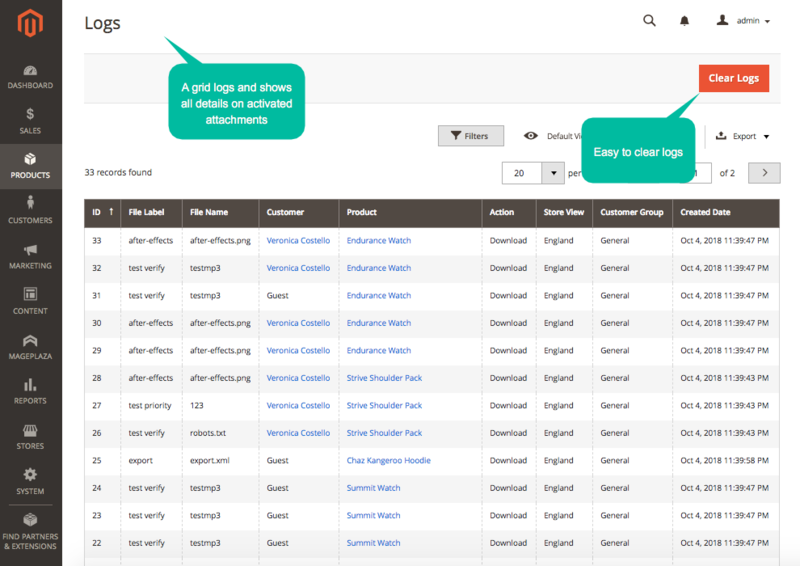 Files can be displayed in a sidebar, under the Add to cart button, in a product tab or anywhere by inserting a snippet. 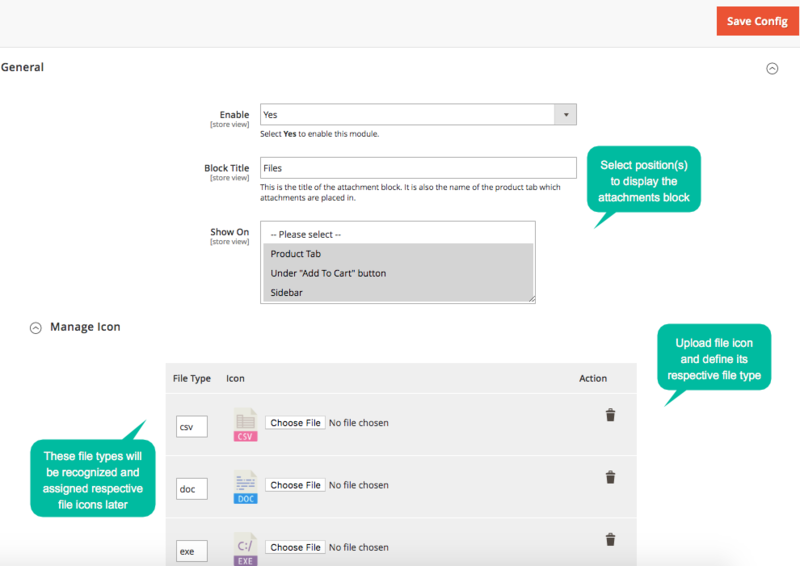 Product attachments can be prioritized to be shown. A file with a higher priority is displayed in a higher position. 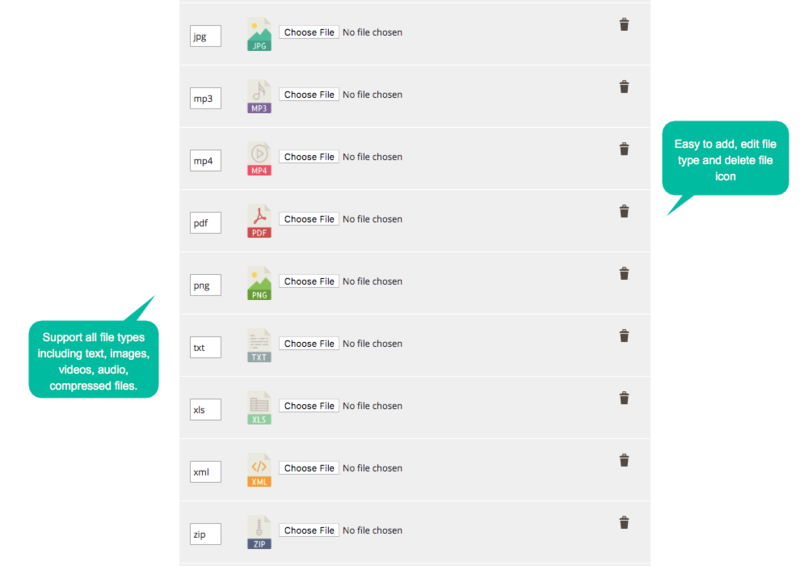 Apart from using Mageplaza premade file icons, you can actively upload more icon images from the backend. Once an attachment is uploaded, its format will be identified and its file icon will be automatically selected. filter_drama Is it possible to upload multiple attachments by Mageplaza Product Attachments? Definitely, you can upload multiple files like images, documents, compressed files, and others by using product attachments extension by Mageplaza. filter_drama Is it possible to disallow my customers to download the attachments? Yes. You can only allow your customers to view the attachments online and disallow downloading. filter_drama How do non-login or non-verified customers know that they are not allowed to view/download the attachments? There will be a notice which is visible to these customers to remind them of this. filter_drama What is the attachment size limit? 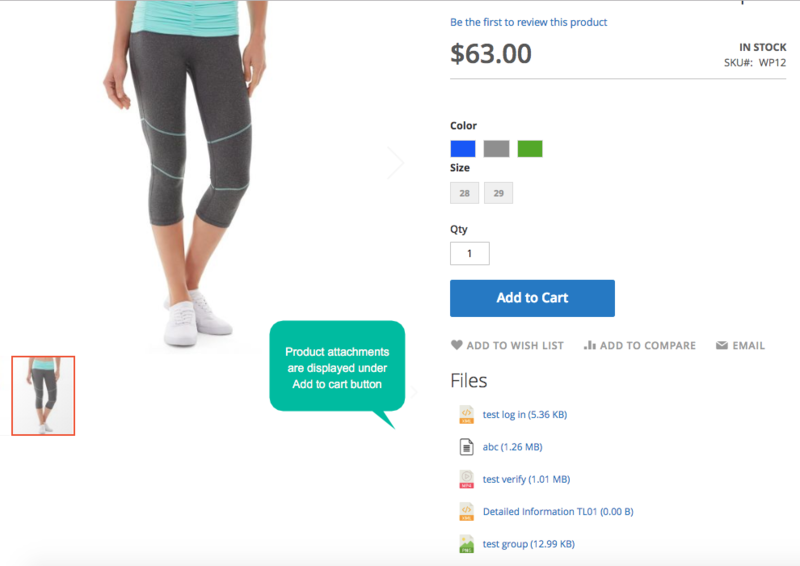 Product attachments extension does not allow attachments which exceed 2MB. filter_drama Is it possible to know the number of download of each attachment? filter_drama Can I upload my own file type icons? Can these icons be selected automatically later? Yes, you can upload an image to use as an icon and define a file type for it. After that, when a file in that format is uploaded, the icon will be automatically selected and displayed with the attachment. Thank you so much for this kind extension. I am really keen on this module because of its support. 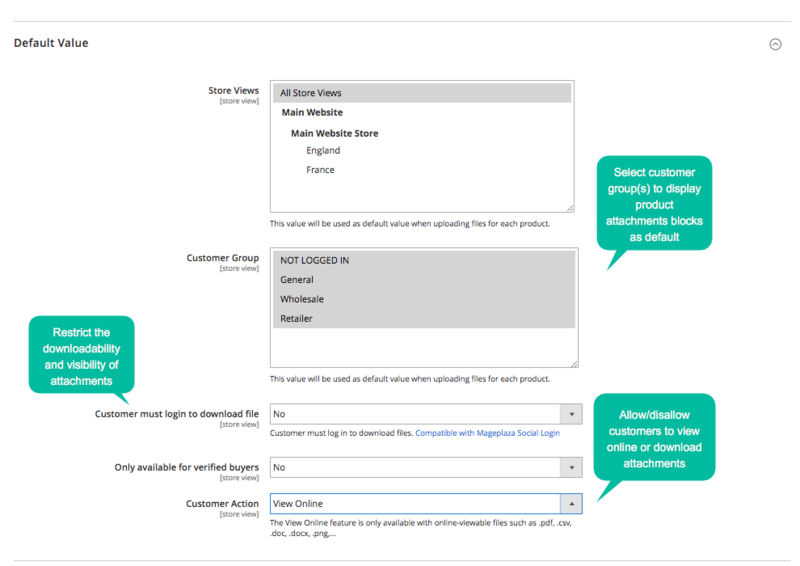 It helps me to attach a lot of useful information to our products, then I can show to customers. My customers feel satisfied! It's really great!